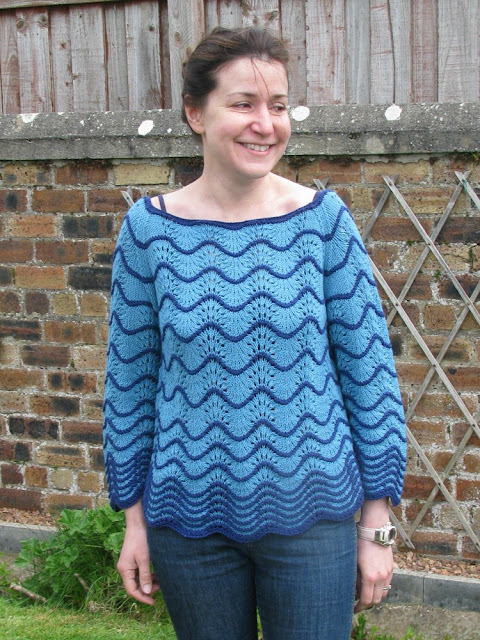 Michelle, another Tuesday night Knit group regular, in her stunning Louisa Harding sweater - Ava from Marguerite. Knitted using Louisa Harding Ianthe, a wool/cotton blend. Unfortunately this yarn has now been discontinued. We do have some shades still available and the pattern book is still in stock! It is a DK weight so another yarn could be substituted.